This post is sponsored by Disney Social Media Moms. All views expressed are that of our own. 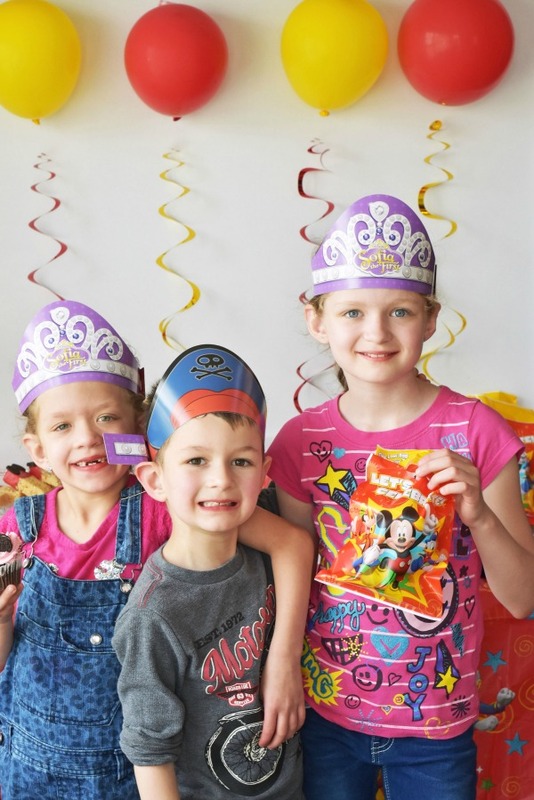 This past weekend, we had some of our children’s friends over for a Disney Pre-school Playdates party. Our son is almost 5 and will be entering kindergarten in September so with only 34 days left of school, we decided it was time to party. We gathered some friends and siblings to celebrate. To get our party started, the folks at Disney Social Media Moms sent us only the best Sophia the First luggage by American Tourister. This luggage will come in handy for our family vacation next month! It is the perfect size to fit all of our daughters’ stuff in. Plus, the little wheels are mega convenient for their little bodies to haul. 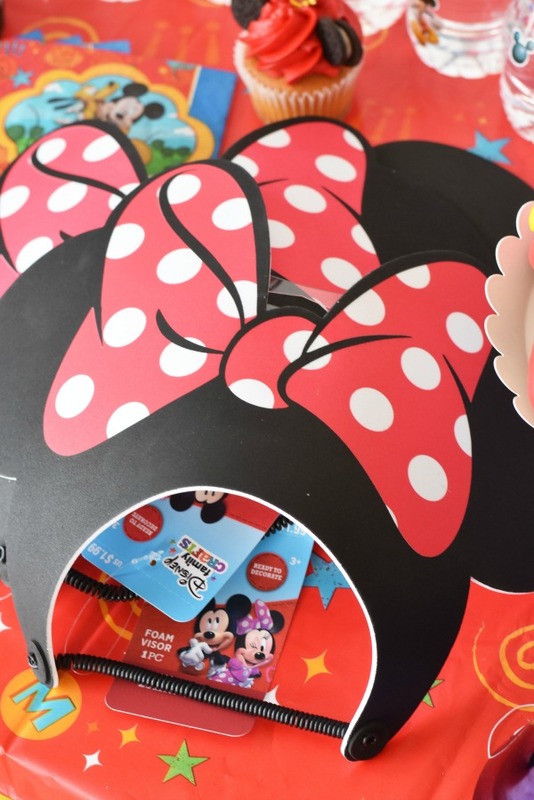 Inside our luggage was lots of goodies to get our Mickey Mouse & Friends party off to a special start. The folks at HP supplied invitations ad some fun social media snapshots paper to capture all the fun! 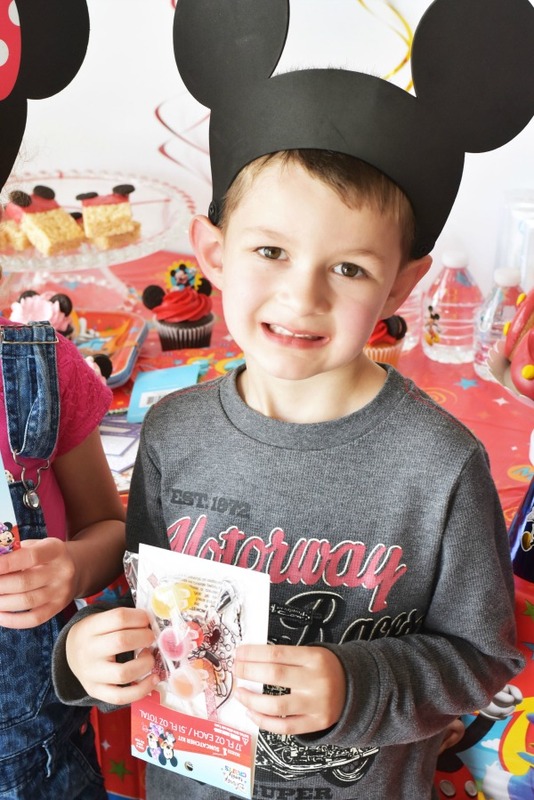 Since all kids LOVE sweet treats, our Mickey Mouse & Friends party featured three easy to make sweet treats. 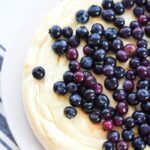 I wanted to make sure I made Disney-inspired desserts that any level of chef could whip up easily and quickly. 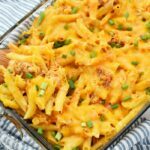 We all know that spending hours in the kitchen is a no-go with little ones. 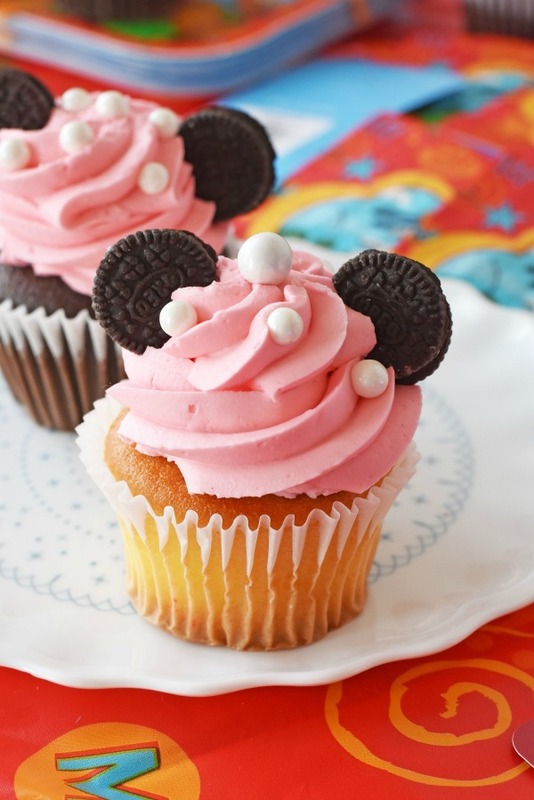 Store Bought chocolate & vanilla cupcakes featuring Disney toppers, white pearls, and mini Oreo Cookie ears. The kids each played with balloons, colored in Mickey coloring books, and played pirates, and princesses. 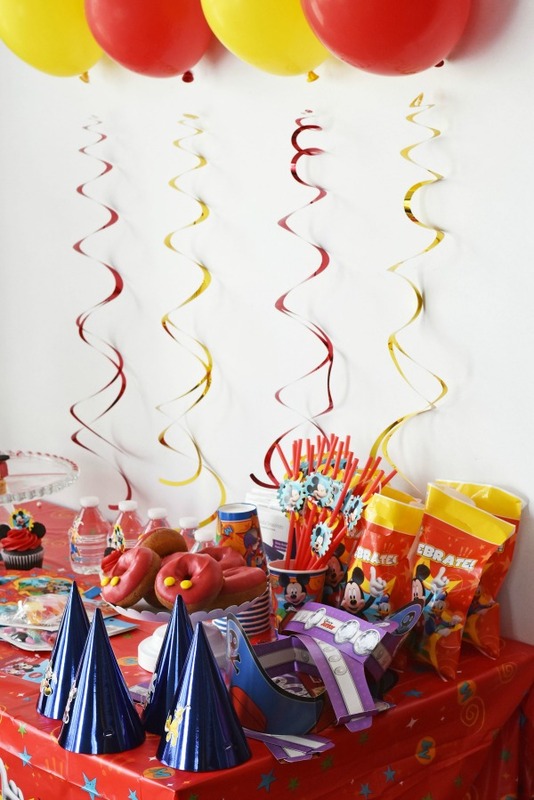 Yellow & Red balloons with Disney Streamers that came in our party package. They are also available at Target. Tablecloth, napkins, and plates are also available at Target, Amazon or any other party store. 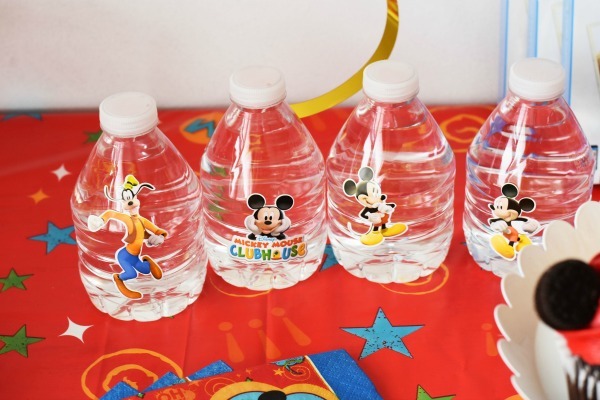 Use Mickey stickers to decorate ordinary party hats, napkins, or water bottles on the cheap! Overall, the kids had a complete blast and enjoyed each other’s company. 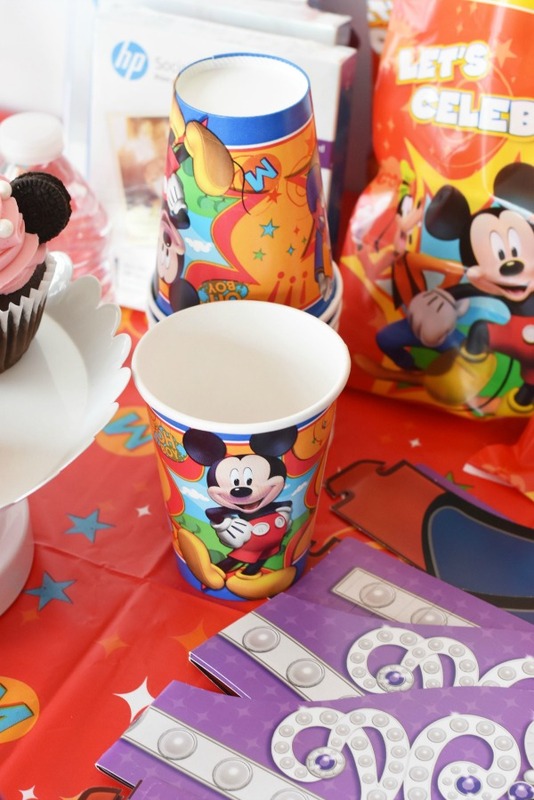 I would definitely host another Disney party if the occasion arrived. 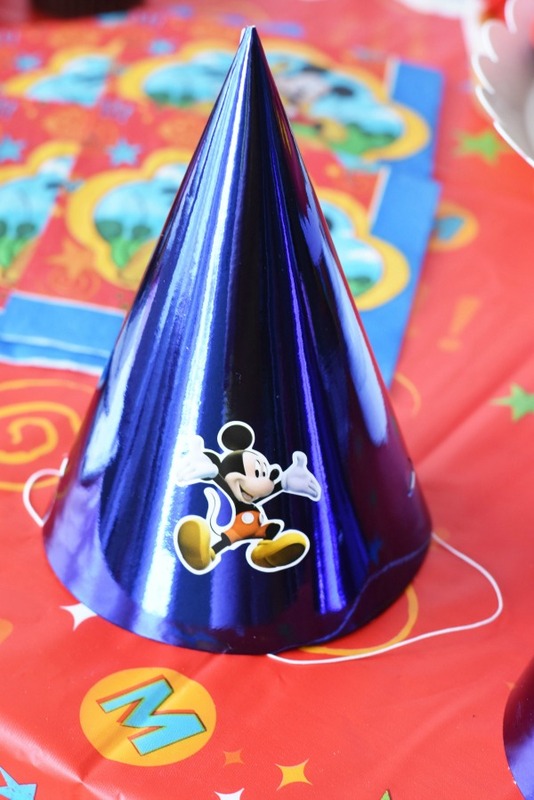 What are some fun Mickey & Friends party idea you can share? 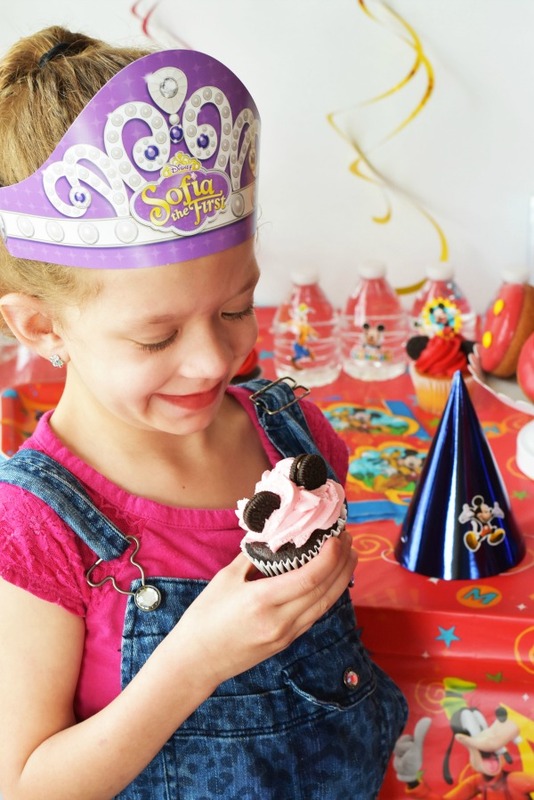 A party theme for young children that never gets old! Disney part themed items are timeless! I’m sure our family will have a party for our grand son and great niece when they begin their education journey in a couple of years! Best party spread EVER! I love that you use those mini Oreos as ears. 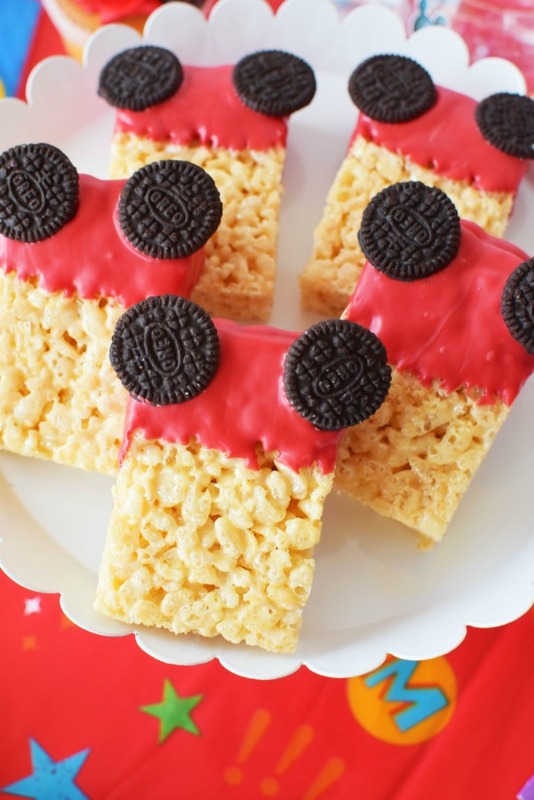 I mean, what is better than sweet treats and a Disney theme? Nothing. The answer is nothing. What a cute party! This would be something my kiddo would have loved he was younger. You did a great job with it. I love the mini Oreos. You’re so creative. I am in LOVE with this party theme. Seriously, I don’t have kids, but I have a fun themed birthday every year. 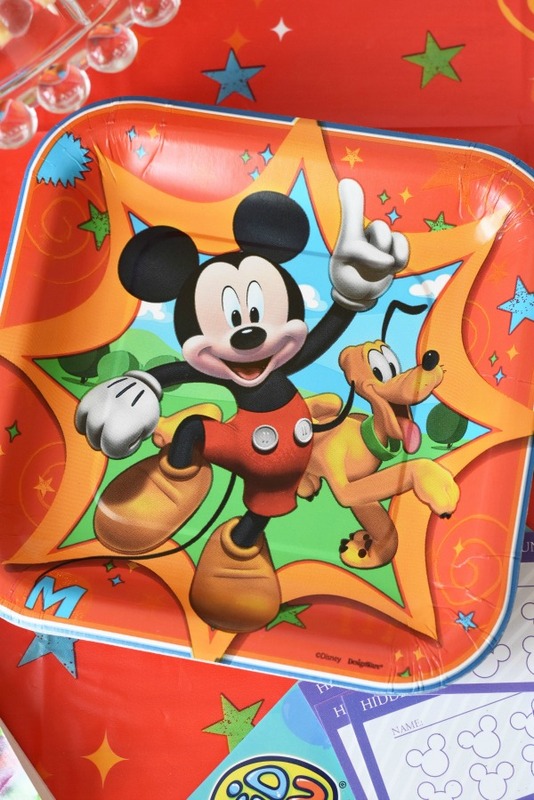 This year we are using Paw Patrol, but this post totally makes me want to switch to Mickey Mouse. I’ve done Minnie before, but never Mickey and Friends. 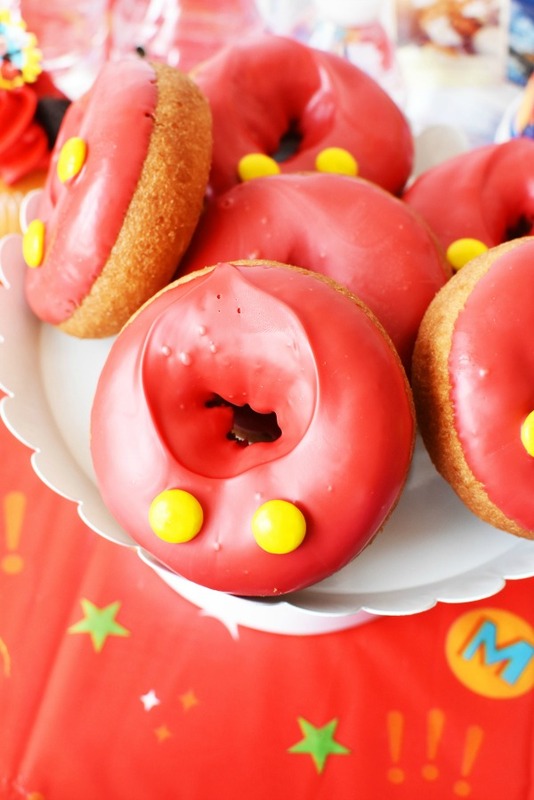 I want to make those donuts, party or no party, laugh. 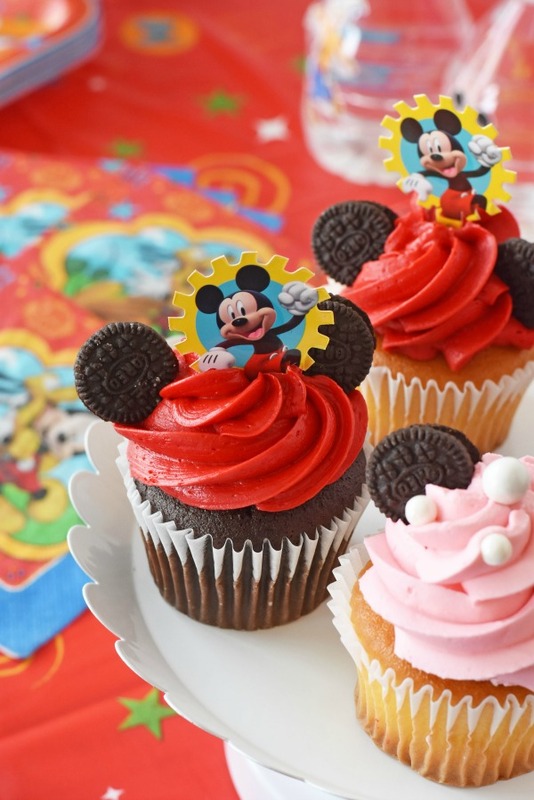 These Mickey cupcakes are so cute. 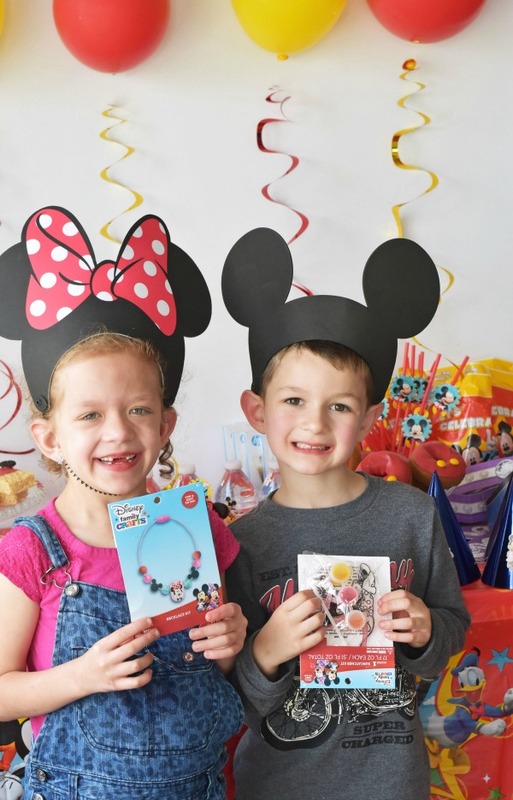 My kids would love to have a Mickey Mouse party. 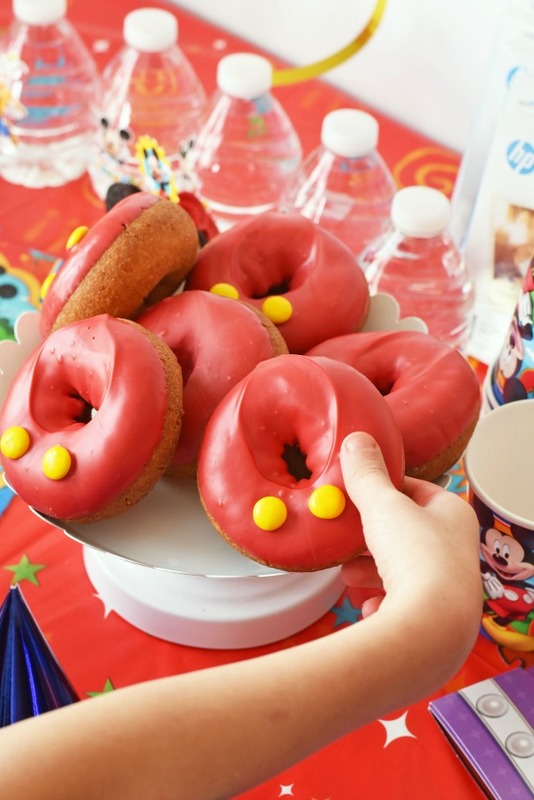 Okay the donuts are adorable- i love how adorable they are! 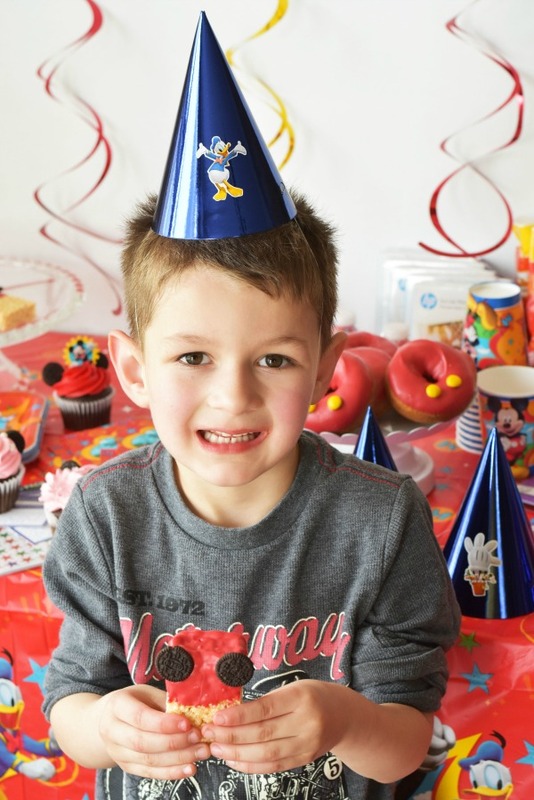 A Mickey party is a classic party! 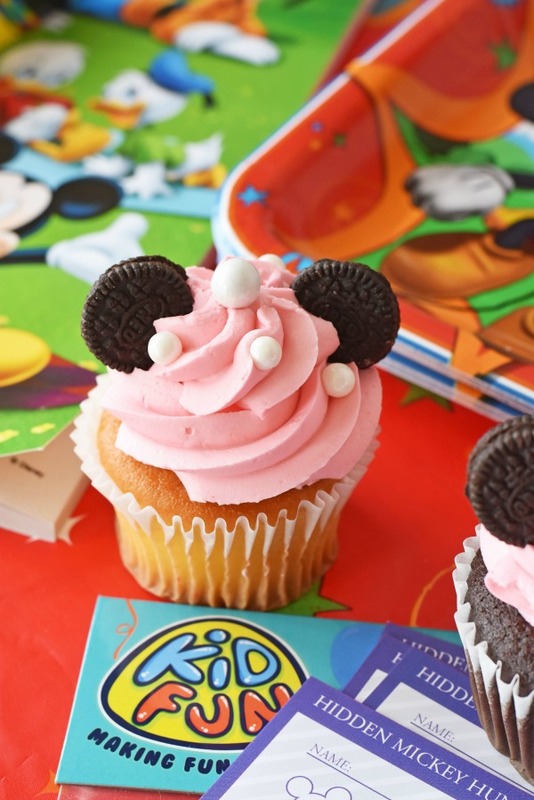 That is a great party and the Mickey cupcakes, and other treats looked so good. 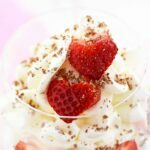 You are a nice Mom to give your son that party that any kid would love. What an amazing birthday party! I wish my kids were still young enough to enjoy this, but I have family who do. 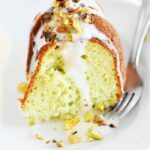 I will pass this post along to them. This party looks so adorable! i love those donuts and so would my kids. That is so cool! I haven’t seen a Mickey Mouse party like this in a long time. That would be so cool. I am glad to see that he is still just as popular as he ever was. This party looked like fun! The Disney supplies and treats were just perfect. Using the stickers to decorate was a good idea! What a cute party! I love all the decorations and food. You did a wonderful job on the food. It looks great! 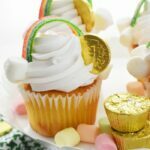 I am so making those cupcakes for my mom’s next birthday. She is the biggest Disney fan I know. It is always fun to gie kids a them eparty because when they enjoy the characters they find it easier to make beautiful memories at the party. These are awesome! I love these fun Mickey Mouse stuffs! And these look so easy to set up too! What a great party! I just love a Disney theme!